Veronica was born in Quito, Ecuador, where she was raised by her father, Fabian Bucheli, Esq. Her education, from elementary school through high school, was influenced highly by the internationally recognized European International Baccalaureate (IB) educational system. 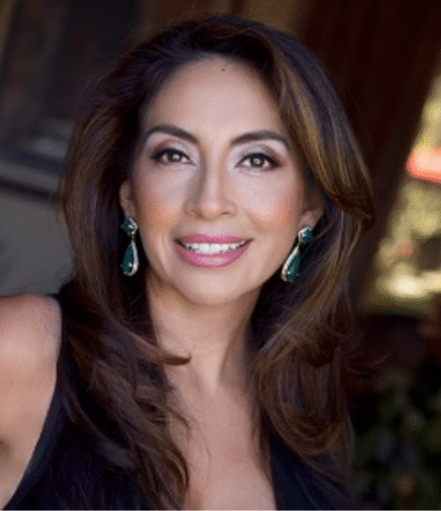 In 1986, Veronica moved to the United States to finalize her high school studies and embark on a rewarding real estate development career. She attended Santa Monica College in Santa Monica, CA, where she completed her general education courses, and then transferred to University of Phoenix, Diamond Bar, CA, where she completed two degrees: Bachelor of Science and Bachelor of Accounting. Her most recent educational achievement is attending Pepperdine University, Malibu CA, where she completed Global Strategy Management course. Veronica started her career in the real estate industry at the young age of nineteen. She focused on education and training to become a leader in the development of city projects. She was the youngest Hispanic female manager to help complete the Mountain Meadows (1,000 units) residential community in the City of Moorpark, CA at the early age of twenty two. Her major contributions and legacy as a senior executive manager to the residential/commercial industries and communities are her direct and indirect involvement through strategic planning for landmark projects developed by extraordinary companies such as The Irvine Company: Pelican Hills, New Port Beach, CA, Irvine Spectrum, Irvine, CA. Richmond American Homes: Monument Parkway Community, Perris, CA, Sycamore Creek Community, Corona, CA. Highland Fairview Properties: Sketcher’s Logistic Center, Moreno Valley, CA and many more. expansion by using technology as the focal point in the integration of web-based lead generation, and marketing to expand the company’s market share. Veronica currently is the CEO for First Community Investments that caters to local and international markets with concentration on residential and commercial real estate inventory in the USA, Brazil and Dubai. Her international skills and ability to foster relations world-wide is proven to be the next generation for global sales. Veronica brings vast knowledge, experience in international relations and elite leadership to KRSC LLC a World-Wide Success Coaching Company head by Kaya Redford, Master N.L.P. Trainer. She is the Global Strategist and main Real Estate/Lending N.L.P. Master Coach with highly developed public speaking skills with an ability to inspire, move and influence large crowds. Students receive one-on-one support with spectacular tangible heart felt mentoring that provides an environment of freedom where students can grow and discover an even greater self. During her spare time, Veronica leads and hostess various charity events to benefit children.